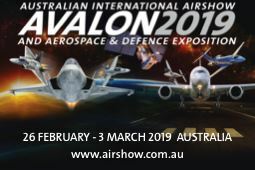 The Benalla Aviation Museum in conjunction with the Antique Aeroplane Association of Australia and the Australian Warbirds Association will be hosting a BBQ and social fly-in at the Benalla Aviation Museum on Sunday the 23rd of February. This is a great opportunity to catch up with everyone in a social setting before the airshows start the following weekend...and more importantly, visit the museum if you've not been up there before. Be sure to check ERSA for the latest airfield details for Benalla.